It has been three months since Google revealed their plans to develop an open source and cloud based operating system, Google Chrome OS. The Google Chrome OS mainly targets netbooks, and the internet enabled Smartphones. 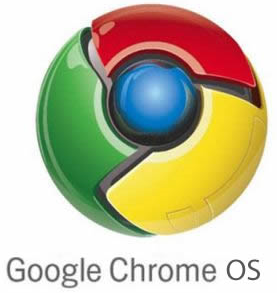 UNIX based Google Chrome OS will run on 32-bit processors and ARM CPUS that is used in mobile devices. The special feature of Google Chrome OS is that its cloud based. In a cloud environment, the user needs to be on the internet to enjoy the full benefits. Information, files, applications and all other things will reside on Google servers, and users need to be online to access them. Therefore, you can use the OS in Windows, Mac and Linux platforms. Google Chrome OS is being developed by the Chromium community. Different hardware vendors have access to the latest repositories of Chrome OS, and they can make special versions of the OS to meet their specifications. If you are a developer you can also download the Chrome OS and build your own image. A popular gadget blog recently released a Chrome OS image that you can download below. You will need a Gmail account to sign into the operating system. 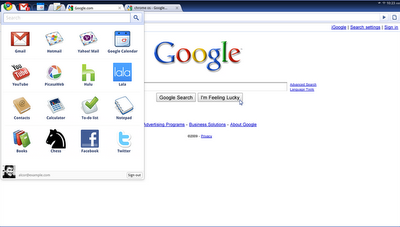 Google Chromium OS boots into an interface that look like the Chrome internet browser. Actually, the OS is nothing but Chrome browser with some online web apps or Chrome web extensions. One of the problems with this cloud OS is that the files and other user information are saved online. So there should be a dedicated and fast internet connection to access the services. Google will offer enough online storage space for all user files but unavailability offline storage will of course remain as a question. We earlier shared a method to run Google Android OS on Windows with VMware and SUN VirtualBox. Similarly, here also you will need either VMware or VirtualBox to run Google Chrome OS on Windows. Use operating system choice as Linux during virtual machine creation, and select to boot from exiting hard disk and add Chrome OS image location. Google Chrome OS on Dell mini. Download Dell Chrome OS image here. 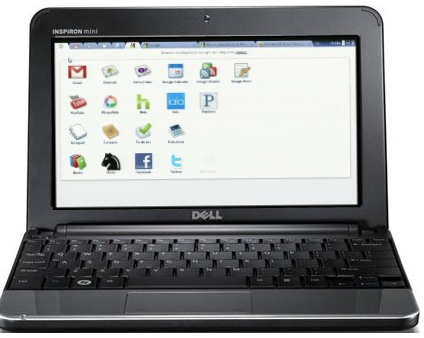 Dell has released a Dell mini (Linux) compatible Google Chrome OS preview image. This image is 7.5 GB in size. You will need to flash it to an 8 GB pen drive using commands available at the Dell Linux support site. I have tried using Chrome OS in one of my desktop PC’s, the overall performance is above average to excellent .